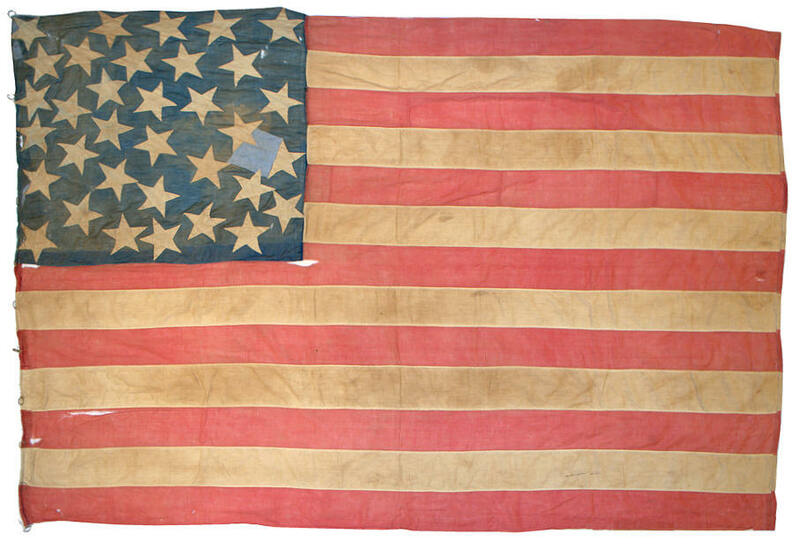 An intriguing item of flag folklore revolves around the presence of the "blood stripe" or "war stripe" on an American Flag. 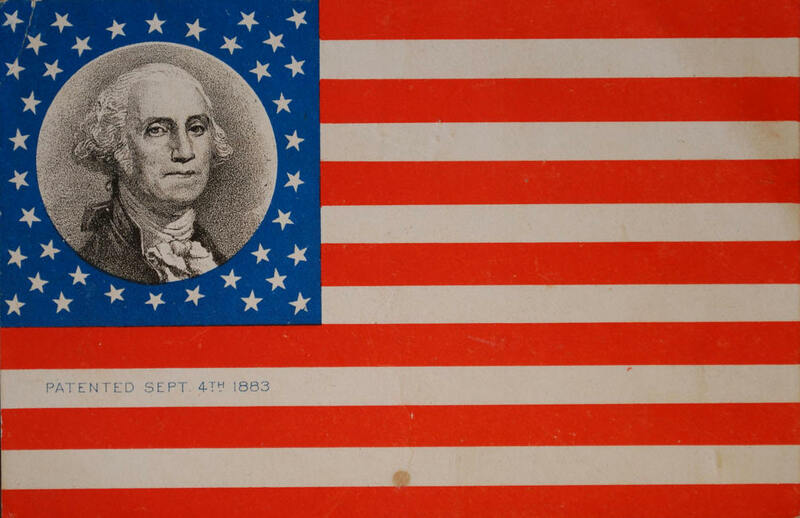 Traditionally and most commonly, the canton of a flag spans seven stripes (R-W-R-W-R-W-R) and comes to rest upon the fourth white stripe. 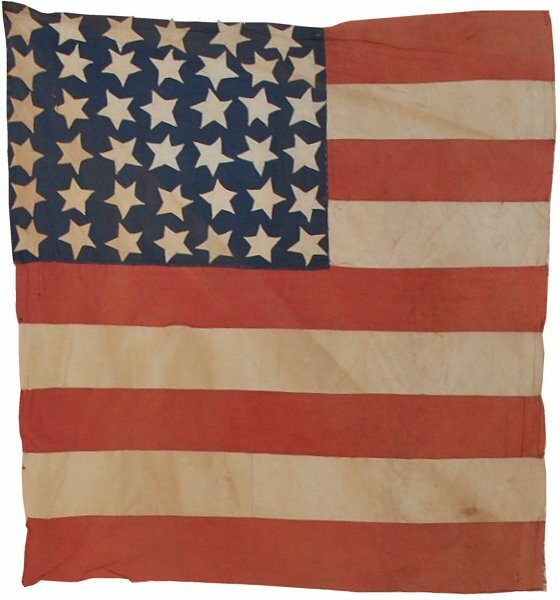 In some rare cases, flags span fewer stripes, sometimes six, sometimes five, or even in rarer cases, fewer than five or more than seven. 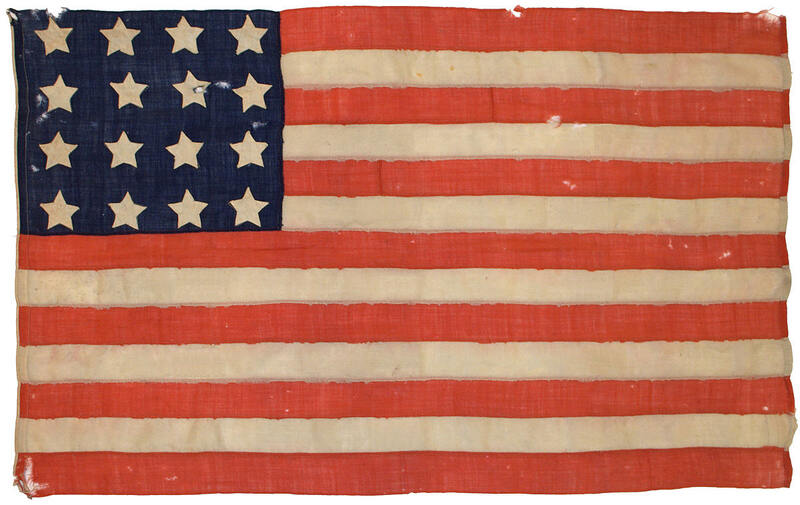 In any case, when the canton of the flag rests on a red stripe, the stripe is traditionally referred to as the "blood stripe". 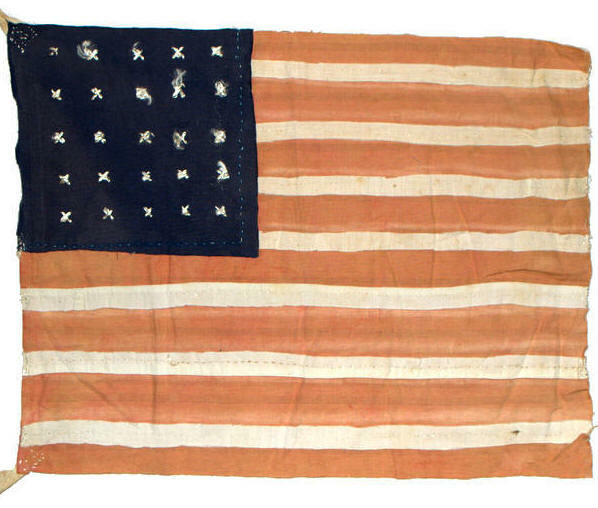 The presence of this trait is often said to indicate that the flag was made during wartime, whereas a canton resting on a white stripe indicates peacetime. 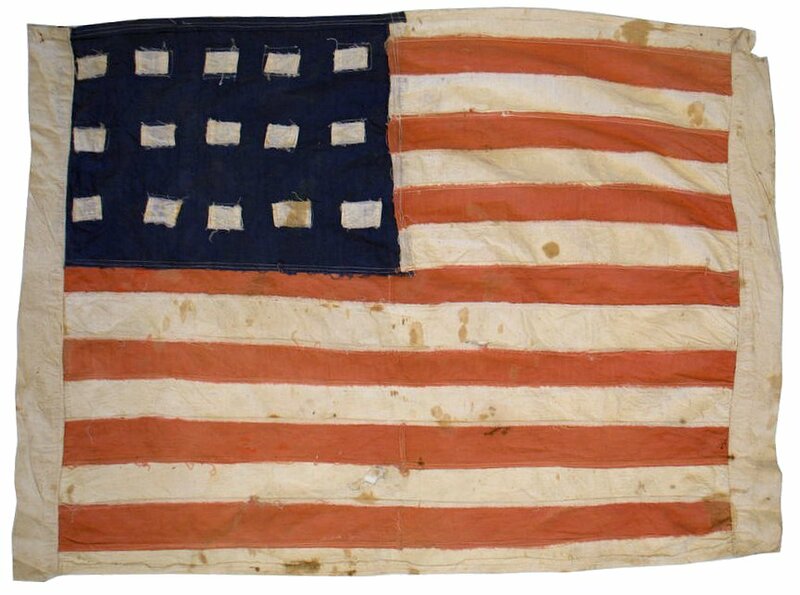 In my experience, I am personally skeptical that this is, in fact, accurate, or that Americans consciously and collectively altered their flag making style in times of peace and war. 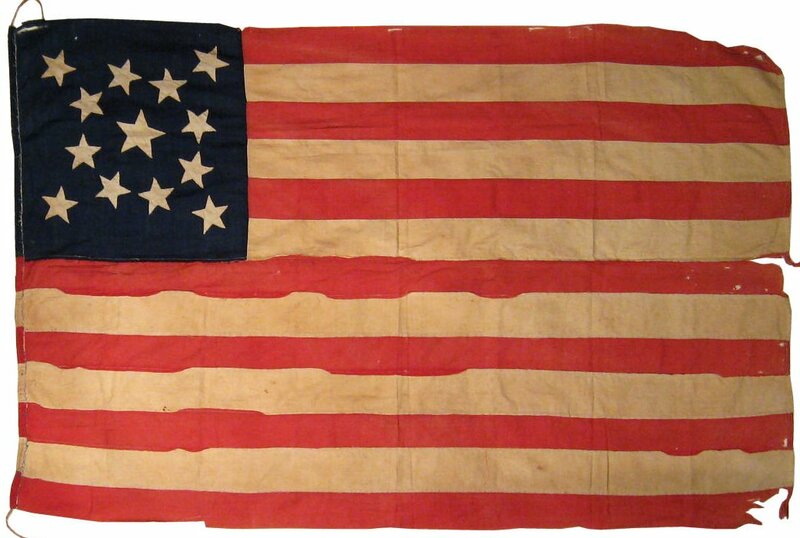 The idea of the blood stripe doesn't appear to be a fixture of popular culture and is not widely documented in our written history. 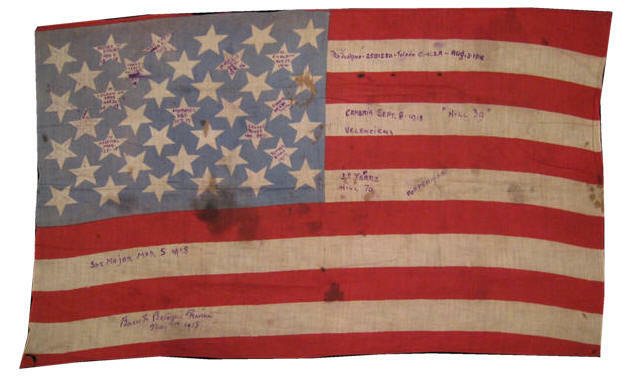 Within the Rare Flags collection, there are several "blood stripe" flags, some of which are clearly made during wartime, and others which are not. 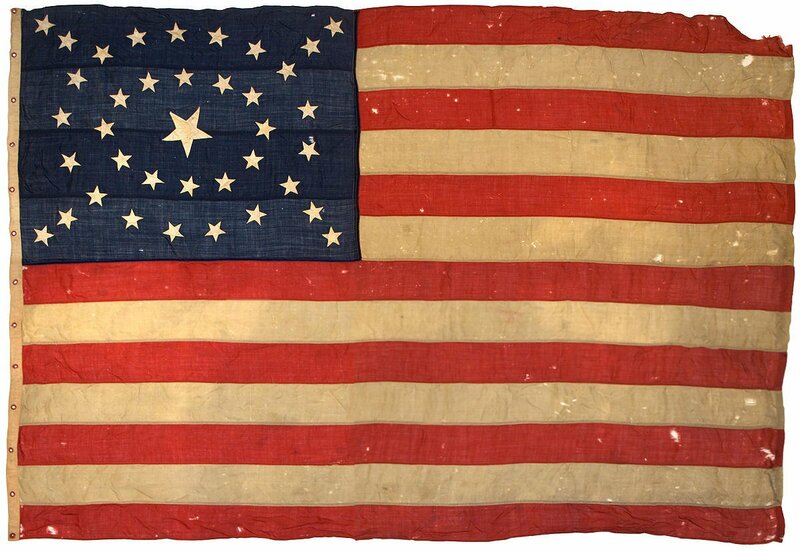 Regardless of whether or not the "blood stripe" is intentional and in fact does symbolize a state of war, the concept will forever remain a symbolic and debatable element of American Flag lore. 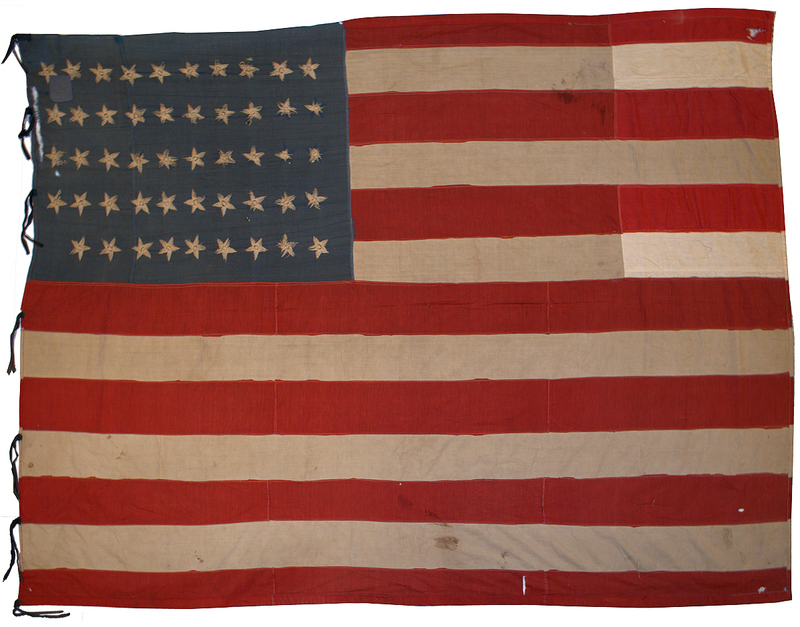 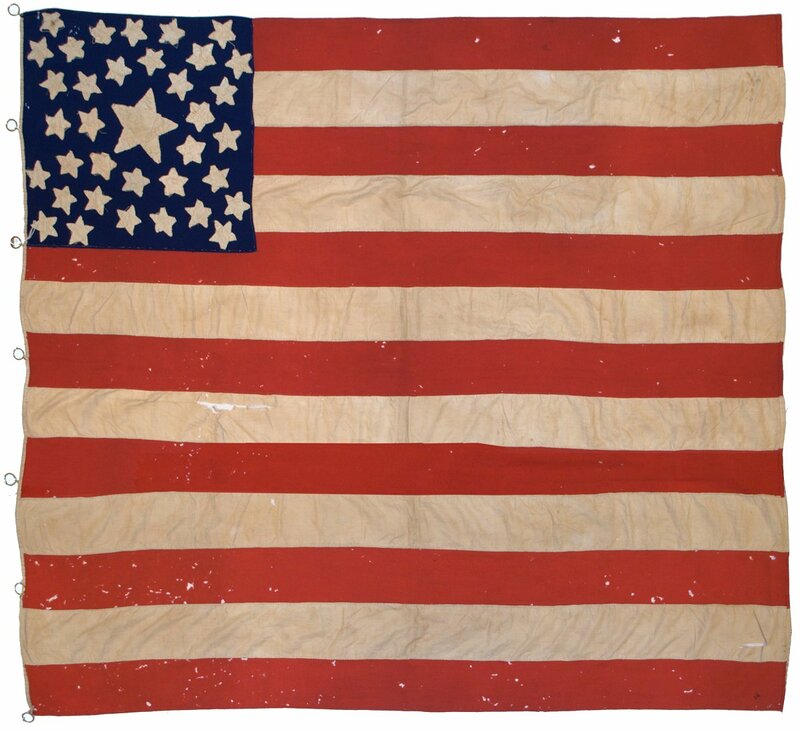 War Affiliation: None at the time the flag was produced, though it was carried in World War I by Francis Judkins.